Geological Formations Another Fine Quality Print from Martin2001 Legend to the illustrations in the print: Figure 1. The valley of Pyrmont 2-5, 12-14. 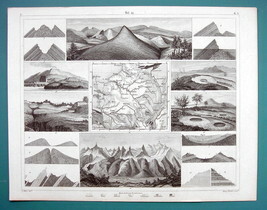 Illustrating the relation of stratification to mountain masses 6, 7. 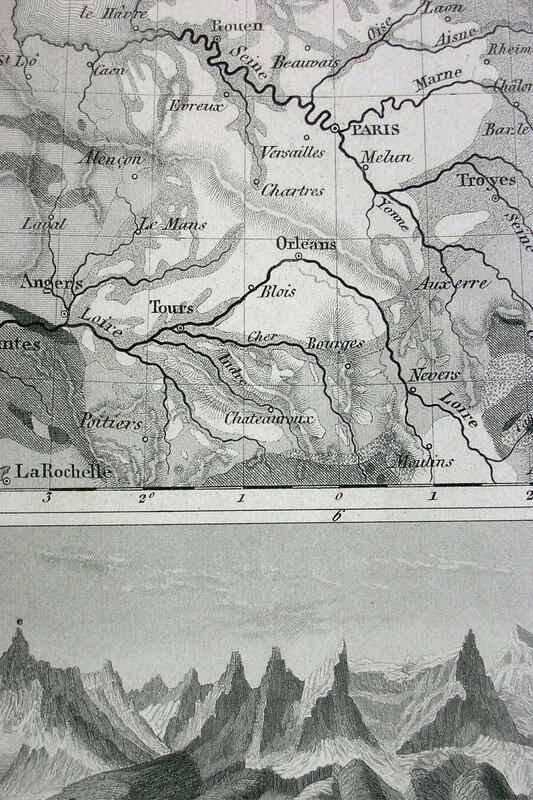 Tertiary basin of Paris 8. Dunes on the sea shore 9. Section of a volcanic cone 10. Mont Blanc chain 11. Mountains in the vicinity of Barschwyl 12-14. See 2 15. Fissures in the earth in Calabria 16. Circular cavities in the plain of Rosarno 17. Crater of the Geyser in Iceland 18. 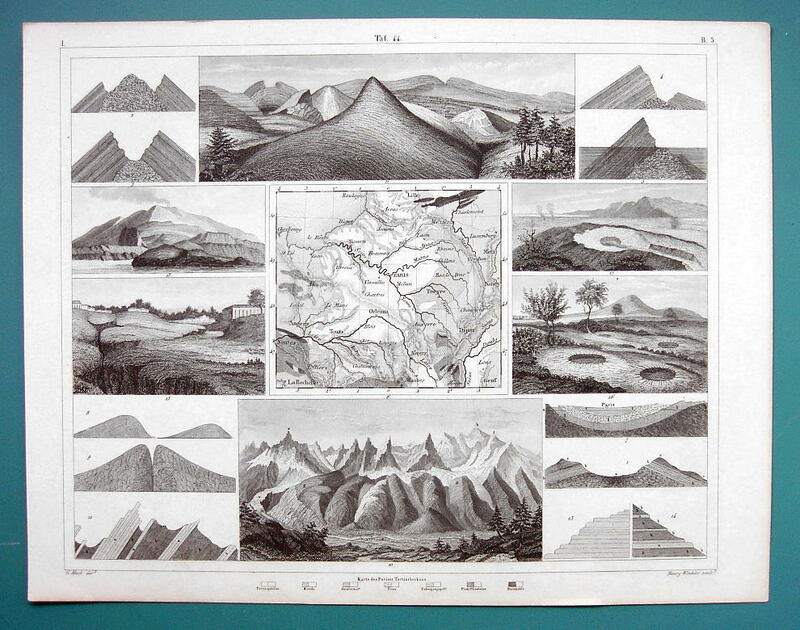 Volcano of Eyafiel in Iceland Print Specifics: Type of print: Steel engraving - Original antique print Year of printing: not indicated in the print - actual: 1844 Engraver: --- Publisher: Johann Georg Heck Condition: 1 (1. Excellent - 2. Very good - 3. Good - 4. Fair) Dimensions: 9 x 11.5 inches, including blank margins (borders) around the image. Paper weight: 3 (1. Thick - 2. Heavier - 3. Medium heavy - 4. Slightly heavier - 5. Thin) Reverse side: Blank Notes: Green color around the print in the photo is a contrasting background on which the print was photographed. 1 inch = 2,54 cm. Martin2001 Satisfaction Guaranteed Policy! Any print purchased from me may be returned for any (or no) reason for a full refund including all postage. seller since 1998. Five-star service. Powered by Turbo Lister The free listing tool. List your items fast and easy and manage your active items.